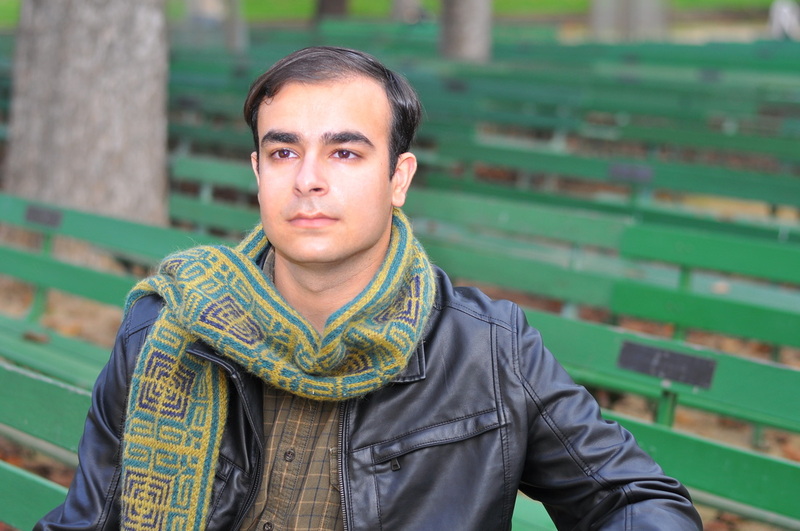 I'm happy to announce the release of Finley; a scarf that combines intarsia, stranded (color work), and locked floats. It's the type of project that I teach in my stranded intarsia class which I'll be leading again at Vogue Knitting Live in NYC in January. It's no secret that I love the concept of locked floats. The secured "reverse" of stranded knitting looks so beautiful. It means no chance of snagging, and also makes for a more even tension throughout the piece. Want to give Finley a go? It's available via ﻿Ravelry﻿ now as a digital download, and the print pattern will soon be available for wholesale distribution through Deep South Fibers. Here's hoping you have a beautiful rest of the week. I'm heading to Reno on Saturday to visit with the fun folks at Jimmy Beans Wool! I'll be there with a mini trunk show of the pieces from my book, and I'll also be signing copies of Urban Knit Collection as well. If you're in the area, be sure to drop by and say HI! 2016 Ornament Swap - announced! Yes, yes yes. I know it's Halloween... and usually I'd say it's too early to start talking about the holidays; it's usually after Thanksgiving that my house gets really into the season of things. That being said, I made a note last year that I wanted to start an ornament swap this year with some of my friends (near, far, and online!) - so, let's do it! This swap is open to anyone interested in making and participating. I'm happy to share a blanket that I designed for Willow Yarns! You can buy the pattern alone as a digital download, or you can order the entire kit from Willow and make one of your very own! 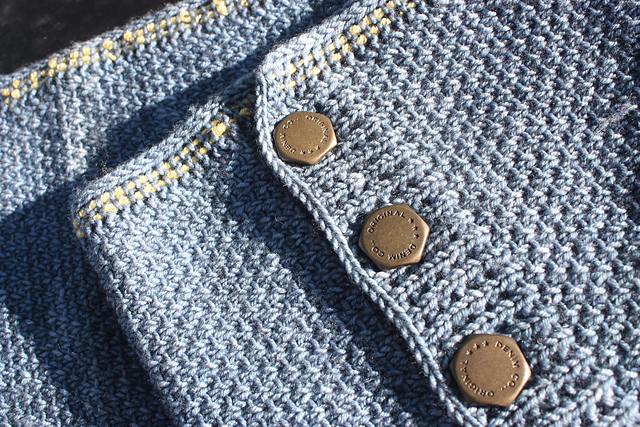 It's a fairly simple knit, requiring knitting skills including reading charts, knit/purl, and locking floats. The two-color edging makes for a fantastic finish. Don't want to knit a blanket? Make it narrower and it becomes a fun wrap! I'm BESIDE myself with excitement about the Author's copy of my book that just arrived! 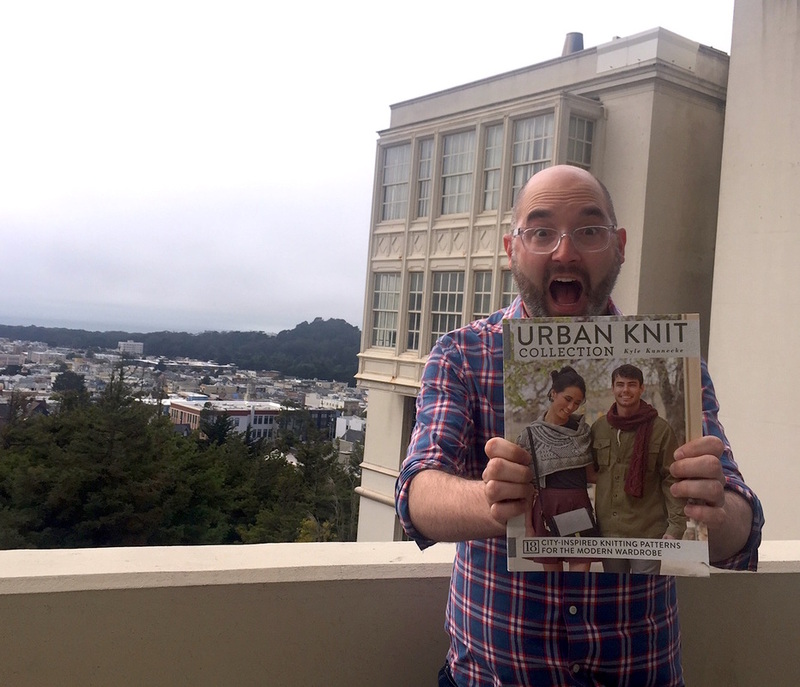 I'm busy preparing for a launch event at my local yarn shop, Imagiknit here in San Francisco and invite you to pre-order the book from there today. In the special instructions box, let them know if you'd like me to autograph it (and if I'm dedicating it to someone) and I'll be happy to sign it before they package it up and whisk it off to your home! I hope you'll find the book fun and inspiring. It has been a fantastic journey so far and it feels like a dream knowing that today it's a for-real book! There's lots more to do before the launch party, so I'm getting back to that now - but wanted to send out a note to let you know you can pre-order an autographed copy today! Here's a milestone of a post. Pre-orders for my first book are happening NOW! 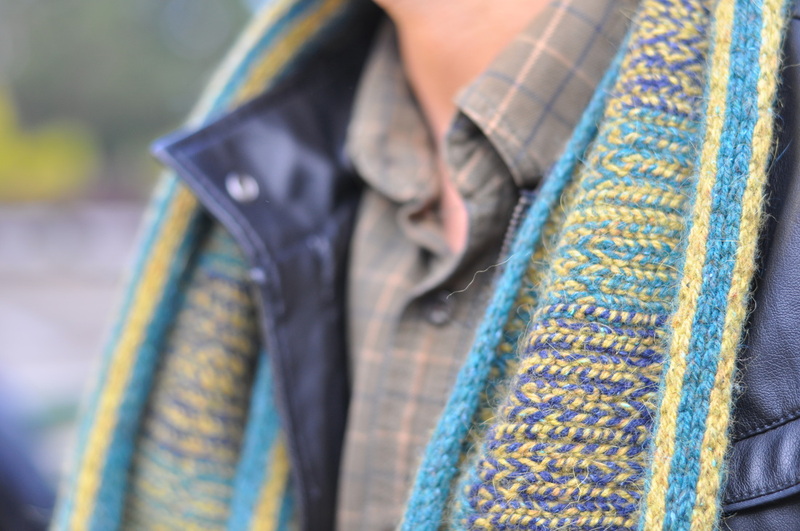 And on the cover you get to see two of the pieces; a men's vest using HiKoo Simplicity, and a woman's wrap worked in beautiful, hand-dyed Hazel Knits Cadence. The book is full of garments and accessories, and includes a variety of techniques including cables, stranded knitting, lace, and intarsia! Writing a book is a HUGE labor of love. It's an incredible amount of knitting, designing, grading (sizing), thinking and re-thinking... and waiting; knowing that the final work will be out and it's going to be incredibly fun to share. That day is finally here and I couldn't be happier. The team at Interweave has really done an amazing job at bringing my book to life. Want to get in line and pre-order your book? Click the image above (or the button below!) to be directed to Amazon where you can place your pre-order now. There will be many more posts about the book, including book launch parties, pattern reviews, and perhaps even knit-alongs! Until then, a big hooray that the book is on its way! A new FREE pattern! 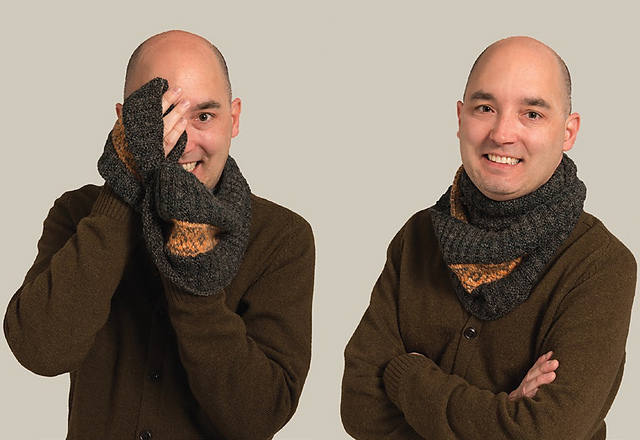 This is the Hayden cowl; something I designed for my trip to Schacht Spindle in November, 2015 to wear for the photo shoot for an upcoming campaign. My "personal story" will be published in "Spin Off" magazine in the Spring 2016 issue. I made the sample in the photograph using yarn I spun on my Sidekick... the ribbed section is a 3 ply yarn, and the stranded section is two 2-ply yarns. Being able to customize my yarn made me feel so in control! ​The photoshoot at Schacht was a lot of fun. The photographer, Michael Lichter, was fun to work with, and his studio was so cool! fancy photo equipment, a beautiful seamless backdrop, and space to park a Harley! (He's a major photographer who focuses on motorcycles usually, but he also does lots of work with/for Schacht). After I made the first cowl using my handspun, I made a second using the amazingly delicious Brooklyn Tweed Loft. Two colors this time, and all the same thickness of yarn... but since Loft has such...um...LOFTiness (haha!) it all evens out beautifully. 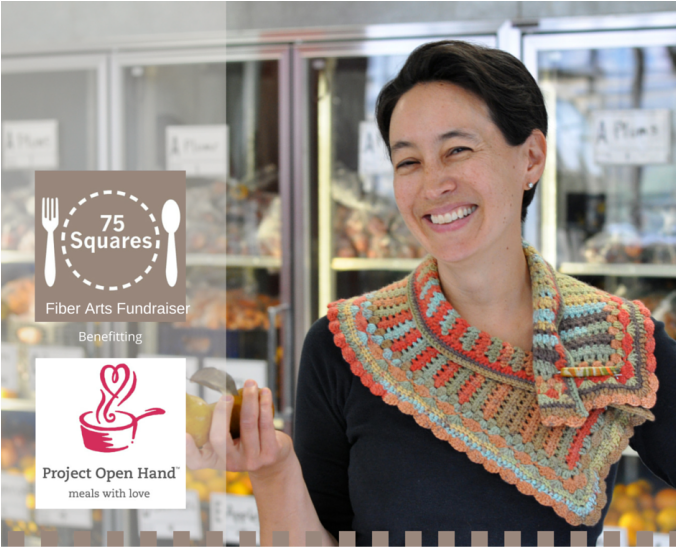 My favorite kind of announcement: The 75 Squares fundraising event raised $1500.00 for Project Open Hand! This is enough money to fund 750 meals to those in need. But taking it a step further, the funds were matched, bringing the total donation to $3,000.00! That means it's a donation large enough to serve 1,500 nutritious meals to the home bound, or critically ill. I'm constantly impressed by the generosity of the fiber arts community, and its never-ending desire to help others. Thank you to everyone who donated their handmade scarves, shawls, and wraps to the event; to the Project Open Hand staff and volunteers who modeled the pieces; and to the incredible folks who purchased pieces and now get to wear them with pride. Learn more about Project Open Hand and the good work they do here: www.openhand.org.